Description Versatile, durable, colorful pigmented cement, also referred to as "Endurablend." Typical Dimensions Varies: 4.5 in. x 7 in. jars - 5 gallon bucket. Estimated Cost Approximately $3 / sq. ft.
Curb Extensions / Plazas Create colored surfaces to enliven the public space and clearly differentiate pedestrian space from vehicular space. Work with local artists to develop unique designs. Pedestrian Crossings / Bikeways Can be applied to enhance markings. 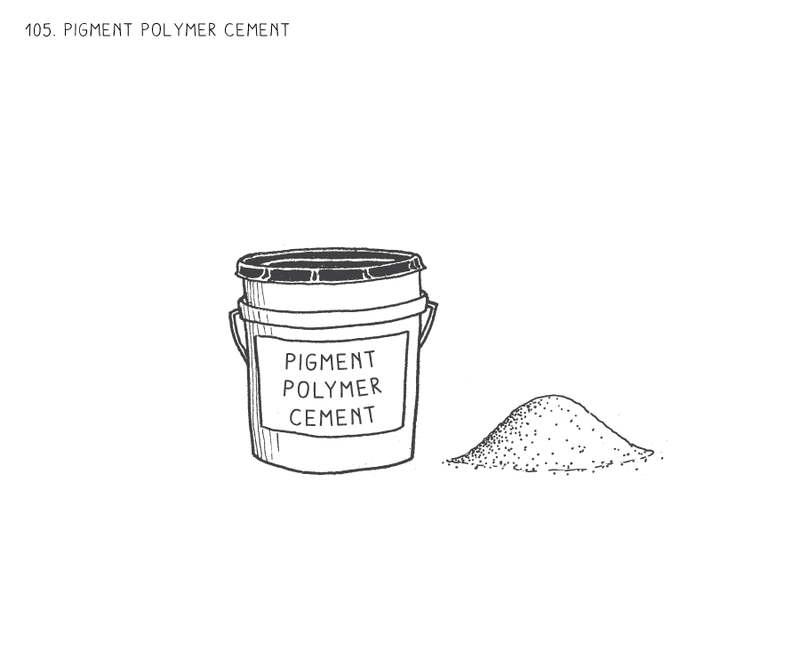 Polymer cement is an environmentally friendly and stable material, highly durable and thermally compatible with asphalt, concrete, and cement surfaces. It can repair cracks, potholes, and spalling on asphalt and concrete. Polymer cement will endure up to 15 years of power-washing maintenance without causing damage to the surface. 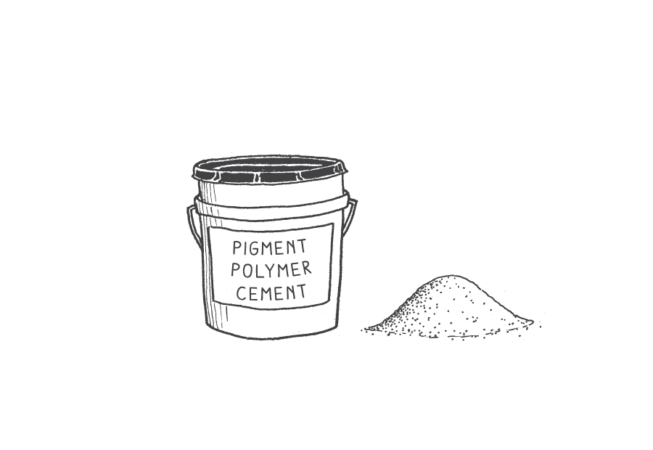 Other applications for polymer cement include bridges, bicycle paths, and runway aprons. Applied like a commercial paint job. The powder is mixed on site and sprayed directly onto the roadbed surface by certified installers. This is a non-toxic material that does not emit an unpleasant odor when applied.